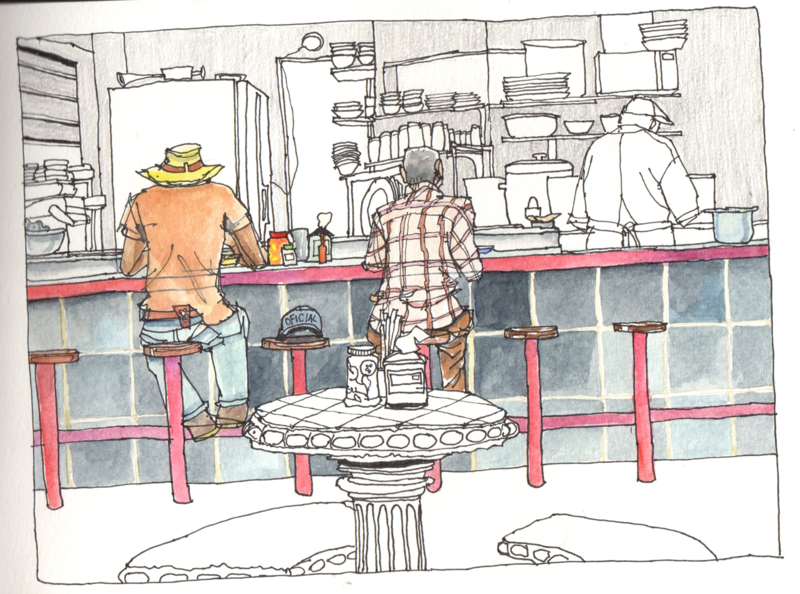 This is snack bar "Roble Sabana" in Pozos, drawn from one of the tables located between th.e street and the parking lot. Lots of interesting people to sketch: in this case a workman with "sabanero" (cowboy) hat and an old man with a cap saying "oficial", which means he's probably helping with security and parking cars. While we are here he is helping putting plates away and having a snack himself. 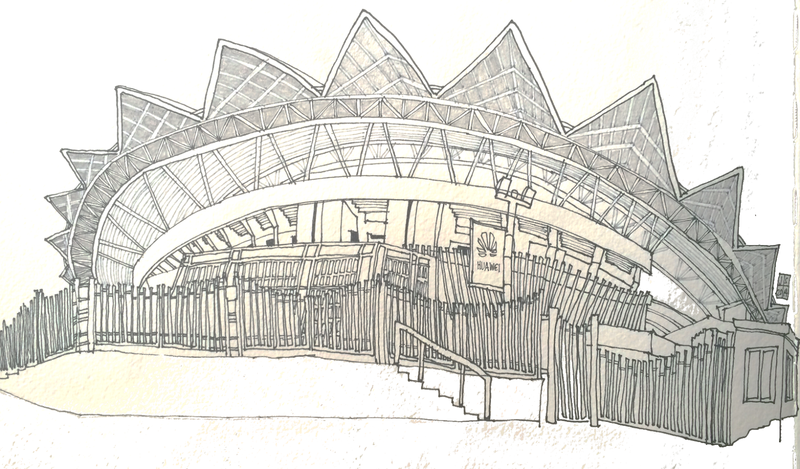 The National Stadium was drawn yesterday, inspired by the weekly themes: monsters. This one looks quite capable of biting, even though not so much from this perspective. Turn 90 degrees and you can picture a giant accidentally putting his foot into the structure and the thing closing up like a big clam. Me encantan sus trabajos. Como hago para contactarlos? 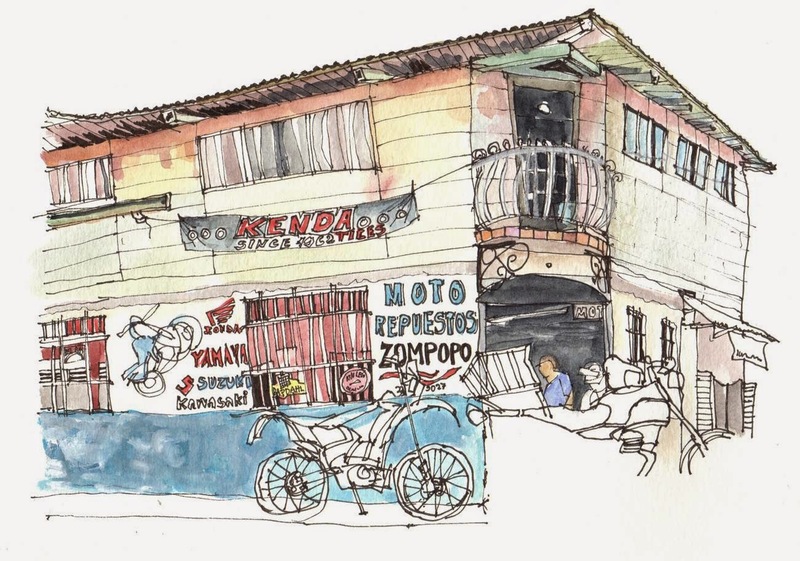 Preferiblemente los dibujos de Costa Rica. Los venden?